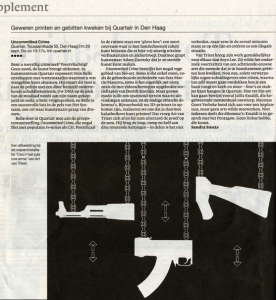 Ceci n’est pas un arme is about the consequences of digital innovation and 3D-printers for physical objects such as guns. 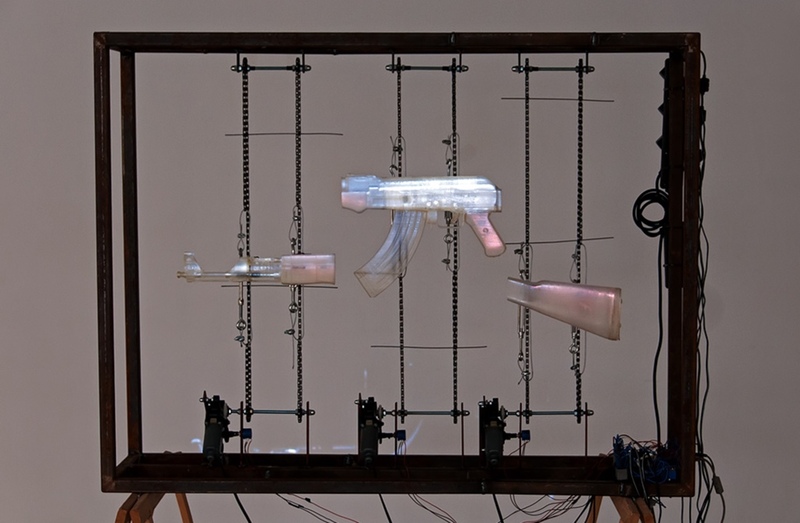 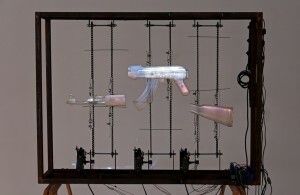 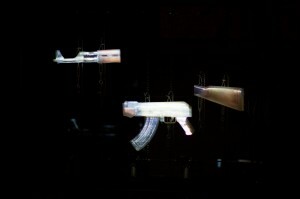 The installation is a 3D-print of a Kalashnikov, cut up in three parts. Every two minutes the three parts are aligned, making them illegal according to Dutch law.